If you’ve read any of my other posts about these annual meetings, you know that in addition to the Pagan Studies Section, I attend other sessions on other topics when they don’t conflict with Pagan Studies sessions. This year was no different. Kerry Noonan and I shared a room, where I listened to her rehearse her paper, sans Power Point. It interested me, as did some of the other papers in that session. One can always learn from other religions. Not necessarily theology, faith, or belief; rather organizations and methods, successes and mistakes, things we may wish to emulate (organization-wise) and those we should avoid. We also learn what I call “sacred technology,” by which I mean such things as visualization, meditation, chanting, breathwork, dancing, liturgical skills. Ex-Catholics: Thresholds of Catholic Identity and Defiance. According to a Pew survey, Catholicism … has been losing adherents, mostly to the secular, … but also due to relevance. « Nicholas Rademacher – “Rethinking Resistance: Varieties of Dissent and Patterns of Solidarity among U.S. Catholics.” Many observers gloss over differences among dissenting Catholics of the mid to late twentieth century, collapsing a diverse movement into a seeming homogeneous group. Even the radicals themselves perpetuated an impression of homogeneity in order to present a united front to the public eye. While many dissenters at mid-century promoted similar ideas about racial and economic justice, pacifism, and a more egalitarian ecclesiology, they traveled different paths and even corrected one another from time to time. Yet they rarely if ever publicly reproached one another. A closer look at the internal conversation of the period by way of diary accounts, correspondence, and the public record reveals important distinctions and even disagreements among and between those who dissented within and against the Roman Catholic Church on social justice themes. We’ve long included many, many ‘recovering Catholics’ in our Pagan communities, along with Jewitches, Buddheo-Pagans, Quagans, and Atheo-Pagans. Some Pagans design rituals that have been influenced by Catholic ritual, not to mention the liberal use of frankincense and myrrh in our workings. Some Pagan organizations go so far as to mimic Roman Catholic hierarchy, assuming such titles as Reverend and Right Reverend, wearing [green or purple] Roman collars, and employing fractured Elizabethan English. Not my personal cup of tea, but if using these methods aids practitioners to achieve a more spiritually receptive state and feel more compassionate toward and bonded with their co-practitioners, more power to them. Dr. Rademacher spoke of “defecting in place,” citing Catholics working for social justice causes. Among them, Dorothy Day, Daniel Berrigan and his brother Phillip, the latter’s wife and former nun, Elizabeth McAlister, Thomas Merton, and Mary Elizabeth Walsh. These people interpreted church teachings as a living gospel calling for activism in pursuit of a better world. From the presidency of Franklin D. Roosevelt forward, they sought to foster solidarity within the social justice movement. They saw priests moving into middle class privilege, while they instead worked in the Bowery, established settlement houses, participated in hunger and peace marches, and in general chose to live with and among marginalized people instead of returning to middle class comfort. « Kori Pacyniak – “Ex-Catholics: Exile or Exodus in the Borderlands of the Church.” As numbers of “former” or” ex” Catholics increase, various questions remain. Why do some leave while others remain and work for change within. Ms. Pacyniak, whose studies focus on queer theology, trans theology, and trauma theology, spoke of liminal overlapping space. Many LGBTQIA Catholics leave their place of origin to find a more accepting space and a better life. They seek these demilitarized places where they are both inside and outside, “both me and not me.” These borderlands as places of “becoming.” She also stressed the distinction between the exodus where one has agency, as opposed to excommunication which is not of one’s doing. Often these dissenting Catholics find a welcoming home and a more relevant and satisfying religious practice within Pagan communities. « Meredith Massar Munson – “All That Glitters Is Not Gold: Andy Warhol’s Byzantine Icon, Gold Marilyn Monroe.” When did celebrity become iconic? Born of devout Byzantine-Ruthenian immigrants in Pittsburgh, Andy Warhol spent his childhood in the rich visual culture of the Byzantine Catholic tradition. 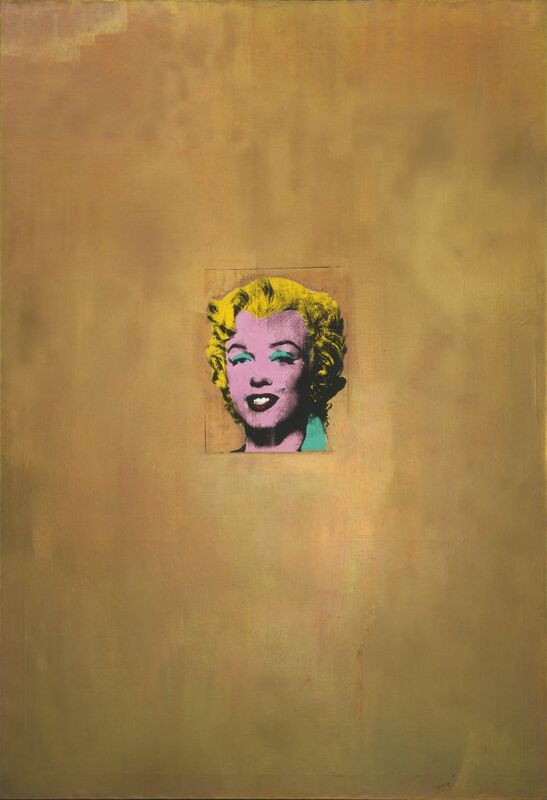 His 1962 painting, Gold Marilyn Monroe, has been casually associated with Byzantine icons since its creation. However, scholars have not gone beyond the canvas’s gilded visage to explore the extremely provocative connotations that such a connection might actually hold. An investigation of the artist’s personal Byzantine-Catholic history posits this painting as directly indebted to the long-standing icon tradition, and furthermore, as intrinsically connected to the acheiropoieta, [made without hands] the image not by human hands. Warhol’s iconic painting opens the door for a cultural critique that compares and contrasts fame and exploitation. This paper will endeavor to place Gold Marilyn within the much larger dialogue concerning the role of the icon, bridging the gap between the secular and the spiritual. I had never heard of Byzantine-Ruthenian Catholicism before. I was aware that Andy Warhol was Catholic, but I knew neither its particular flavor nor its prominence/importance in his life. He attended Mass daily. My interest in this talk was the examination of pop icons in light of the fact that many Pagans are idolaters or use iconic images as objects of reverence and/or for focused meditation. Not all, of course, but many. It is not uncommon to see on an altar a Wonder Woman action figure or a little Batman doll or some other object marketed as a toy. We have our own versions of the Catholic Marian cults, such as the Ord Brighideach International, to which I belong, and the Covenant of Hekate. Moreover, there are numerous orders, sisterhoods, and fellowships dedicated to the worship of specific deities. Further, I know there are people, Pagans and cowans alike, who maintain special areas of their homes dedicated to Marilyn Monroe herself. The painting called Gold Marilyn Monroe, created by the “pope of pop,” exemplifies this appreciation of graven images. « Kerry Noonan – “’I’m Going to Try Reiki Next, and I’m Not Going to Confession!’ Negotiating Vernacular Catholicism.” In a guided meditation in a yoga studio, a conservative Catholic woman listens to the messages channeled by a psychic teacher -– messages from deceased loved ones, archangels, the Virgin Mary. She’s not a “fallen-away” Catholic, nor a New Ager; Catholicism is part of her identity, and she works to integrate these new practices into an identity that eschews them. Employing Leonard Primiano’s concept of “vernacular religion,” I aim to better understand her and others like her who, while seeking direct and embodied experiences of the Divine, incorporate new practices and place them in familiar Catholic contexts. In light of Catherine Albanese’s assertion that Americans have practiced “combinative” religion for centuries, and Robert Orsi’s contention that religious traditions are “zones of improvisation and conflict,” I explore the possibility that we can see this woman not as an orthodox outlier, but as emblematic of important trends in the American religious landscape. This process of syncretism is a fairly common phenomenon among Pagan religions, Witchcraft in particular. We often learn meditative techniques from Asian religions rhat may enhance our own. Tibetan Buddhism employs the use of yantras as foci for visualization. 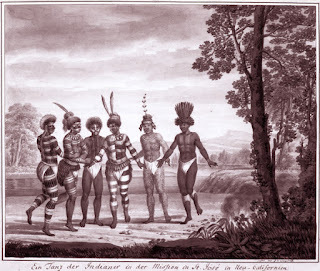 We also sing Hindu chants, purported Native American chants of various kinds, and chants from Voudoun. We borrow rhythms. We dance English, French, and Basque folk dances. Modernity and Postmodernity: Pagans Reimagining the Future. Modern Pagan movements still struggle with identity and history, especially when former “historical” and ideological foundations are challenged by new interpretations or others’ voice. Participants will present summaries of their papers and discuss with each other and the audience issues of history, identity and ethnicity across boundaries, and the pressures of institutionalization. « Christopher W. Chase — "Differential Modernities: Rethinking Vodou in Contemporary Paganism." “…contends that Pagan traditions respond to modernity according to sociohistorically contingent circumstances. As an example, Vodou has developed a Christian ecclesia model in Haiti in response to Pentecostalism, while tracking along a decentralized initiatory path in the U.S., similar to other Pagan traditions. As you can tell from these descriptions, we Pagans are protean in our tendency to evolve and change. I apologize for the skimpiness of commentary on the Pagan Studies sessions. In the two years since I suffered a stroke, I have not fully regained my ability to handwrite, so my notes are minimal and often indecipherable. Fortunately, Christine Hoff Kraemer shares a thorough report of her experience of this event on The Wild Hunt. Dilemmas of Identity and Formation in Contemporary Paganism: Tropes of anti-modernism and primitivism inform the development of contemporary Pagan movements, yet these groups are sometimes described as postmodern as well.” Papers and discussion of “whether the central tenets of postmodernism – plurality, diversity, and hybridity – chiefly influence such movements today or whether protests against modernity and reconstructions of fictive pre-modern societies and world views drive them equally. This paper specifically speaks of the dilemmas we, as a fast-growing constellation of Nature-based and/or heritage-based, and related non-Abrahamic religious groups, confront when trying to create institutions that address our professional needs from a less conventional and, given our great diversity, from a somewhat Pagan perspective. This has been the work of Cherry Hill Seminary, among other worthy efforts. The phenomenon of Jewitches has long been a facet of the Craft. About twenty years ago Jewitches in the Twin Cities (Minneapolis-St. Paul) published a newsletter call Di Shmatteh (the rag). Since then, various blends or dual perspectives have arisen: Buddheo-Pagan, Quagan, Atheo-Pagan, and even Christo-Pagan. As a person reared in Christianity, both Protestant and Catholic, I don’t get this last one, but then again, it’s not mine to get. The work of scholars and supporters at Cherry Hill Seminary is one manifestation of the expression of these issues of legitimacy, identity, and sustainability. In fact, one of the older and still extant Pagan organizations, the Covenant of the Goddess, in its annual Leadership Institute, has recently done in a daylong focus on examining the current state of the Craft and Paganism, and locating CoG’s place in that larger community and in the world. Indigenous Religious Hybridity and the Transformation of Traditions: This session addresses different forms of religious hybridity. 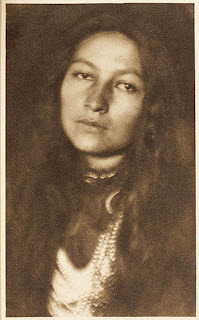 Zitkala-Sa, or Gertrude Simmons Bonin, was an important Dakota leader who drew from her own cultural traditions as well as her education in boarding schools to publish at the national level and serve as an agent of the government. Patron Saint Feast Days incorporate from and negotiate between indigenous and Christian practices. Research on the Ohlone Shell Walk illustrates the revitalization of traditions while highlighting the relationship between religious and political activity. « Abel Gomez -- “Shellmound Peace Walk: Prayer, Pilgrimage, and Activism in Ohlone Territory” Ohlone communities of the San Francisco and Monterey Bay Areas are experiencing a cultural renewal, despite their non-recognized status. Central to this revival is the protection of burial sites, most of which have been destroyed because of urban development. This paper focuses on Ohlone activist Corrina Gould’s efforts to honor the burial place of her ancestors through Shellmound Peace Walks. Beginning in 2005, Gould has organized three-week long pilgrimages to the shellmounds (burial sites) of her ancestors. At each stop, participants heard stories of the site and offered prayers and tobacco. 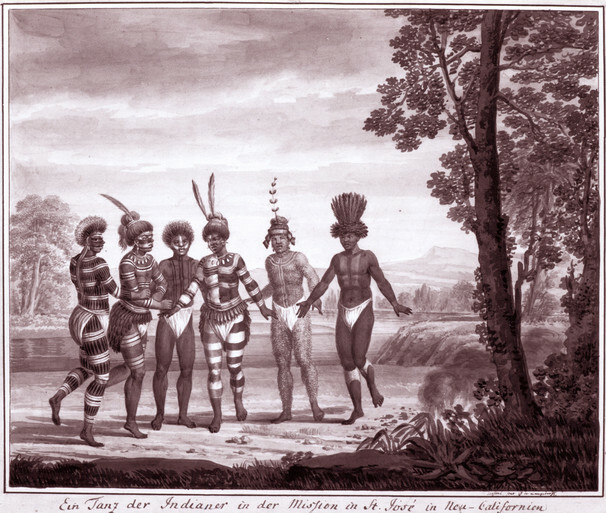 Drawing on fieldwork, historical writings, and oral histories, I argue that the Shellmound Peace Walks demonstrate the interconnectivity of religion and political activism in Native communities. For Ohlone solidarity with non-Native people. I was initially drawn to this section because I saw that Abel Gomez was one of the presenters. He is a young man from the S.F Bay Area I’ve met through local Reclaiming. Another draw was the fact that the topic is about a region I call home. Much of the southern Baylands and the land on the other side of SF Bay from where I write is home to Ohlone people. My neighboring county to the north is Coast Miwok country. There are 425 shellmounds in the salt marshes and mudflats around San Francisco Bay and beyond (San Pablo Bay, Suisun Bay, Carquinez Strait). Over the time since Europeans settled this area, the largest, once a burial ground rising 60 feet high and dating back to 800 BCE, has been desecrated by being used for an amusement park and later as a dumping ground for toxic chemicals. Since 1999 a shopping center occupies most of that shellmound, with a memorial park nearby, now designated Emeryville Shellmound, California Historical Landmark #335. From time to time I have received email posts soliciting people to attend these peace walks. I appreciated hearing this more detailed information about these activities. Abel’s contention of the interconnectivity of Native religions and political activism matches my own convictions. I have attended public Witchen sabbat celebrations at the Emeryville Shellmounds. From that spot one can see beautiful sunsets behind some of the land surrounding the Bay. I like to think that, rather than using the site as a dumping ground, by performing our sabbats on what is left of this formerly 60-foot high mound, we in some small way honor the ancestors of our Ohlone neighbors. Once again my post-stroke ability to take notes results in my inability to interpret my compromised handwriting. Zitkala-Sa was an amazing person. She straddled two cultures, seeking the knowledge and wisdom of both, and she took those understandings into the world beyond the reservation. She even wrote a Native-themed opera, “The Sun Dance Opera,” that was first performed on stage in 1913. Her finding values in both cultures in which she found herself immersed seems relevant to what many contemporary Pagans have been doing by learning about our various heritages, and blends of heritages. We syncretize what resonates for us into spiritual practices that give expression of who we are and enrich the meaning in our rituals. I’m registered for the AAR Annual Meeting in Boston and hopeful that I’ll have enough money to get there. The inmates in our circle at San Quentin State Prison, unlike in many other prisons, are allowed flame and incense, at least when I’m there, and they all love incense. So we use it liberally and they emerge from circle with the scents permeating their hair and clothing and reminding them of where they’ve just been. See Big Time at http://besom.blogspot.com/2010/07/big-time.html. I feel uncomfortable assigning the word race to people of any heritage or complexion because humans comprise one race or species.